The 2018 World Cup is almost here which excites football fans around the world as well as matched bettors. Matched bettors look forward to big sporting events such as the World Cup, The Grand National, Wimbledon and others as bookmakers offer an increased number of betting offers in the run up and during these events. The World Cup is already proving to be very profitable for matched bettors before it has even begun with a number of bookmakers giving out free bets on a number of markets. Below we have listed some of the best World Cup betting offers for matched bettors. We'll be updating this page when new offers arise so feel free to bookmark it for future reference. Most of you will already have an account with Smarkets but if you don't, they have a great new customer offer. Pick any World Cup team when you register and they will give you a £10 risk-free bet for every match they play. Pick a team that reaches the final and you'll receive £70 in risk free bets! Net losses up to £10 on each eligible match will be refunded within 24 hours as cash. 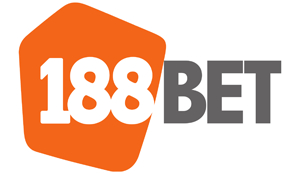 Both Fun88 and TLCbet are offering customers a £10 free bet to use on the World Cup when they place a £10 bet on the winner of the World Cup. Simply find a close match on the winner market and lay your selection for a small qualifying loss. You'll receive your free bet within 48 hours of the tournament starting. Both Fun88 and TLCbet are offering customers a £10 free bet to use on the World Cup when they place a £10 bet on the top scorer of the World Cup. Simply find a close match on the top scorer market and lay your selection for a small qualifying loss. You'll receive your free bet within 48 hours of the tournament starting. Place a £10 bet on the winner of the World Cup with Skybet and they will give you your stake back as a free bet if it doesn't win. You can use the 'free bet on loss' feature on matched betting calculators to return a profit of around £7 whether your chosen team wins the tournament or not. Place a £5 bet on England winning the World Cup with Ladbrokes and they will give you your stake back as a free bet if they don't win. You can use the 'free bet on loss' feature on matched betting calculators to return a profit of around £3.50 whether England wins the tournament or not. Place a £5 bet on the England vs Tunisia match and Betway will give you a £10 free bet. Back and lay your selection for a small qualifying loss and receive your free bet to use on any sports market. You should be able to generate around £7.50 profit from this offer. Place a £10 bet on the winner of the World Cup and William Hill will give you a £5 free bet for every game that your team wins. You can't guarantee a profit from this offer but you can receive multiple £5 free bets should your team win a lot of games. Place a £10 bet on the top scorer of the World Cup and William Hill will give you a £5 free bet for every goal that your player scores. You can't guarantee a profit from this offer but you can receive multiple £5 free bets should your player score a lot of goals. Place a £10 bet on the top scorer of the World Cup and Sunbets will give you a £5 free bet for every goal that your player scores. Place a £10 bet on the winner of the World Cup and Unibet will give you a free bet for every match your team wins. The value of the free bet you receive depends on which team you back. Free bets range from £2 to £5. The teams considered more likely to progress correspond with the lower valued free bets. Place a £10 bet on the winner of the World Cup and 888sport will give you a £1 free bet for every goal your team scores. Back and lay a team who you think will score a lot of goals. Place a £20 bet on the winner of the World Cup and 10bet will give you a free bet for every game your team wins. The value of the free bet you receive depends on which team you back. Free bets range from £2 to £6. The teams considered more likely to progress correspond with the lower valued free bets. Place a £20 bet on the top scorer of the World Cup and 10bet will give you a free bet every time your place scores a goal. The value of the free bet you receive depends on which player you back. Free bets range from £2 to £4. The players considered more likely to score goals correspond with the lower valued free bets. Both Betfred and Totesport are offering customers a £5 free bet every time the player they back to be the top scorer of the World Cup scores a goal. Place a £20 bet on the top scorer, lay your selection and receive a £5 free bet every time they score a goal. Place a £10 bet on the top scorer of the World Cup and Bwin will give you a £2 free bet for every goal that your player scores. You can't guarantee a profit from this offer but you can receive multiple £2 free bets should your player score a lot of goals. Place a £10 bet on the top scorer of the World Cup and Dabblebet will give you a £2 free bet for every goal that your player scores. Place a £25 bet on the winner of the World Cup (not on Brazil) and get your stake back as cash if Brazil win the tournament. It may be possible to lock in a profit by using a 'trigger calculator' or spreadsheet. Bet any amount on England to win the World Cup and receive your stake back as cash if they go out on penalties. There is no maximum cashback for this offer. Bet any amount on a team to win the World Cup and receive your stake back as cash if they go out on penalties. There is no maximum cashback for this offer.